Watch out, these appliqué creatures are taking over this dress – and they're here for an adventure. Choose between a leaping horse and rider or a rollerskating dog to inspire imaginations. 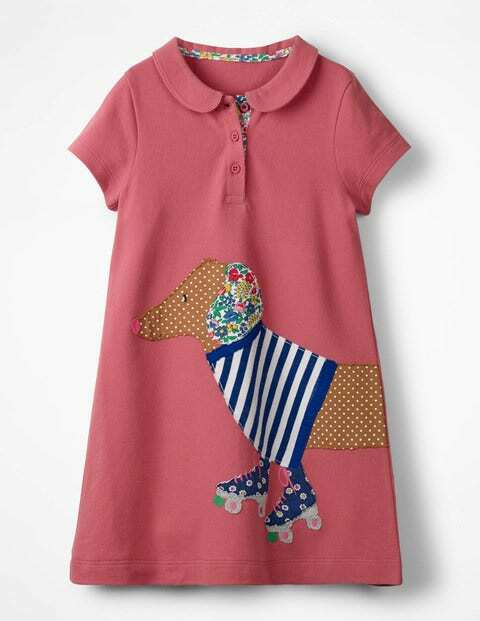 The short sleeves and sporty piqué fabric are perfect for active days with these animal pals.